BPMessentials has been delivering BPMN training since early 2007, beginning with BPMN 1.0. 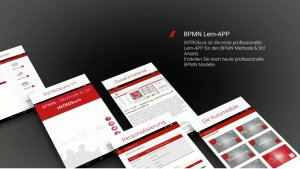 As both the BPMN standard and BPMN tools have evolved, our training has evolved as well, and we are continually updating the content to make it easier to create Good BPMN. 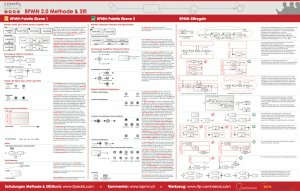 The new version continues to teach you everything you need to create Good BPMN, models that communicate the process logic clearly and completely from the printed diagrams alone. BPMN is sometimes criticized for having too many shapes and symbols, and it’s true. Many types of activities, gateways, and events are rarely used and even more rarely needed. BPMN Method and Style version 7 teaches you just the ones you need to know, including proper labeling and common use cases. The new training adds discussion of the decision task (aka business rule task), which invokes a DMN decision model to remove decision logic improperly embedded in BPMN. It also expands the discussion of using data stores as an alternative to messages for passing information to a process and coordinating the state of processes working in concert. And it introduces the use of non-interrupting Message event subprocesses as a way to solve tricky batching problems within a single BPMN process. It is impossible to create Good BPMN in real time from stakeholder workshops and meetings. Instead, the modeler must reorganize that information in a top-down manner in order to create models that are properly structured and communicate the process logic clearly. The Method is a systematic 5-step procedure that does exactly that. It starts with scoping the process, decomposing it into a high-level map, and then turning that map into a top-level BPMN diagram. Process details are added in child-level diagrams, and context information – including pools and message flows, lanes, and data flow – are added at the end. The Method effectively automates the translation of chaotic stakeholder workshop notes into Good BPMN. Vizi Modeler provides a Method Wizard that implements the Method as a questionnaire, and then creates the diagrams automatically with one mouse click. While the official rules of the BPMN spec are focused on operational semantics – execution in a process automation engine – that is not what most process modelers are trying to do. They are simply trying to communicate the process logic visually, through the diagrams. Models that do that effectively are what we mean by Good BPMN, and it requires additional rules – style rules. Method and Style training teaches you the style rules, and shows you how to use style rule validation built into Vizi Modeler. 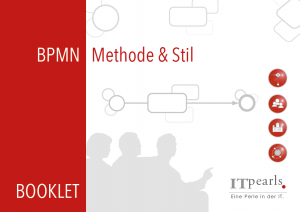 BPMN Method and Style includes post-class certification, based on successful completion of two steps: an online exam and a mail-in exercise personally reviewed by Bruce Silver. If the exercise is not perfect, it must be fixed and resubmitted until it is. Students have use of the tool for 60 days in order to complete the certification. Over 1300 students have achieved certification to date.